Oneir handles the whole process from purchase order through to an invoice. Whether retailer, wholesaler, big or small, Oneir Solutions’ fully integrated debit and credit card authorization software can speed your customer payments, increase cash flow, boost productivity, and also keep fingers out of your till. We know from archeological digs that humans have been making horse harnesses for about 3,500 years. Today, Equestrian Hardware is helping equine and pet harness makers across Canada, in the United States, Australia, and Great Britain put their harnesses together with the 7,000-plus different buckles, rings, hooks, swivels, yokes, and other vital bits-and-pieces the wholesale company stocks and ships out from its Southwestern Ontario warehouse in. But unlike ancient harness makers, Equestrian Hardware’s clients benefit from Oneir Solutions’ fully “integrated bank card authorization” software. Since Equestrian Hardware’s 1988 founding, they used Oneir because, like a horse in harness, there’s just one bit to chew on. “That one piece of bank card authorization software can handle every sort of sale we make,” says Equestrian Harness. “It takes advantage of how customers more and more pay by credit card, which is terrific because payment is immediate. For instance, when a customer pays us for the first time, I simply go to the ‘Pay by credit card’ Oneir menu item and input the card’s information. The software then creates a secure ‘token’ of the card, enabling repeat customers to simply say, ‘Put it on my card’. “That one piece of bank card authorization software can handle every sort of sale we make. Equestrian Harness says Oneir’s integrated bank card authentication also helps him save time and worry with reconciling end-of-day company books. 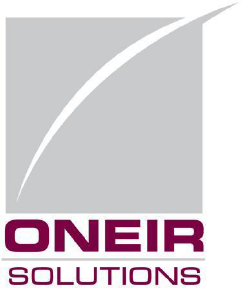 E-commerce – From your web store, Oneir Solutions will process credit card sales for picking, packing, and shipping – thanks once again to Oneir’s PCI Secure token payment facility, keeping with the trend away from payment by cheque. In short, Oneir Solutions handles all these options for you. By making your products more accessible this way, Oneir can strengthen cash flow and make you more profitable. “I like the Oneir email function in particular,” says the owner. “We can email the invoice, showing the approved credit card payment, directly back to the customer. I can even bring up a PDF version of the invoice on my screen and fax it to customers who don’t do email. We also use purchase orders a lot and I’d say we send 95% of them out to our suppliers by email. To do that with Oneir, you just push one button. “Oneir handles the whole process for us from purchase order through to an invoice. Most recently, in a typical response to its customers’ good ideas, Oneir has added a new “Email and print at the same time” function to its software, which the owner had suggested. As Equestrian Hardware has discovered, hitching your sales wagon to Oneir bank card authorization is straight forward, says Mainwaring: “When you ask us to integrate your bank card authorization, we connect you with an Oneir-certified payment processing company and get you set up free of charge. (Changing processors may lower your transaction fees.) They review your current statements and tailor a fully integrated bank card authorization system that best suits your company, which you can keep in the wings until you are absolutely comfortable with the Oneir set-up. Oneir also helps management control the company’s stock. Just like the good strong hands worldwide making harnesses with Equestrian Hardware. Andy Shaw is a freelance writer, broadcaster and international journalist with articles in many business and technical publications. Oneir Solutions speaks your industry’s language. Every industry has its challenges and opportunities. Oneir Solutions will tackle these challenges and help you create solutions specifically geared towards your industry. This will allow you to take advantage of those opportunities and take your business to the next level. Learn how. Oneir Solutions Inc…is more than a broad based fully integrated Enterprise Resource Planning (ERP) business, accounting solution. Oneir Solutions Inc., in evolution since 1983, is more than a broad-based fully integrated business, accounting and inventory control software solution. Oneir partners with its customers to provide a complete group of services. Consultation, programming of special needs, data implementation assistance, training and award-winning support keep our customers competitive and at the forefront. © Copyright 2018 Oneir Solutions Inc. | All Rights Reserved.